Below you will find video links to two short films by Luke Snellin. The first, Mixtape, proves just how little time you need to tell a complete and affecting tale and that’s part of why it was nominated for a BAFTA award. The second is a companion piece which came out the following year called Disco. They both feature a similar core group of actors and a thematic similarity of young love. Essentially, my reaction to having seen Disco was it was precisely what you’d want it to be after having seen Mixtape. 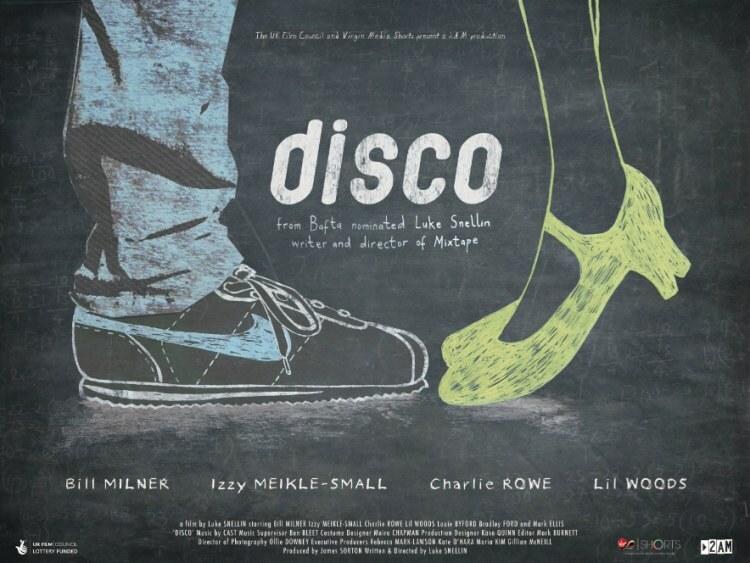 Disco expands the story from a first flirtatious romance to a triangle and being tongue-tied. Without over-explaining I also want to point out you may know some of the cast members here which help make the film what it is: Bill Miler (X-Men: First Class, Is Anybody There? and Son of Rambo), Charlie Rowe (Neverland and The Nutcracker in 3D) Lil Woods (Nanny McPhee Returns) and Izzy Meikle-Small will appear in Snow White and the Huntsman.